Product prices and availability are accurate as of 2019-04-16 03:34:09 EDT and are subject to change. Any price and availability information displayed on http://www.amazon.com/ at the time of purchase will apply to the purchase of this product. Got a box of old video tapes in your closet or basement? Turn them into DVD or digital video file! 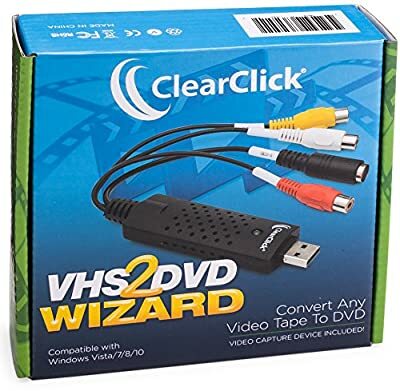 The VHS To DVD Wizard software from ClearClick makes this easy by providing you with a step-by-step, "wizard" software format. Plus, there's a simple user's manual that you can actually understand, because it's written in everyday language! Here's how this conversion system works. Step #1: Install the ClearClick VHS To DVD Wizard Software. Just insert the software CD to install the VHS To DVD Wizard and associated driver files. Step #2: Plug in the ClearClick USB Video Grabber. Plug in the included ClearClick USB Video Grabber into your PC. Your computer will install it automatically. Step #3: Connect Your VCR. Connect your VCR to your USB video grabber with an RCA audio/video cable, and start playing a VHS tape in your VCR. Note: a VCR is not included. Step #4: Capture Your Video. Click "Capture" in the software and your video will start transferring to your computer! 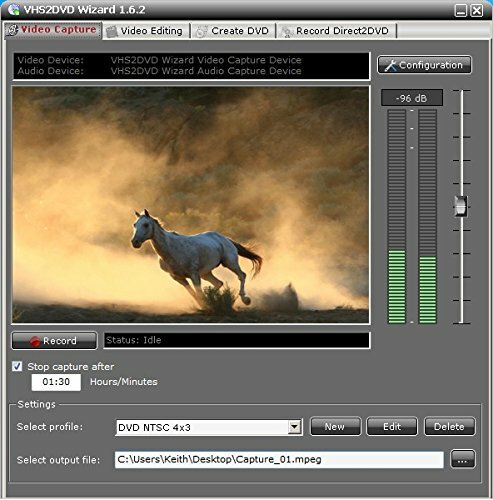 You can either capture your video to a digital video file on your computer so that you can edit it, or you can burn your video directly to DVD as you capture it. 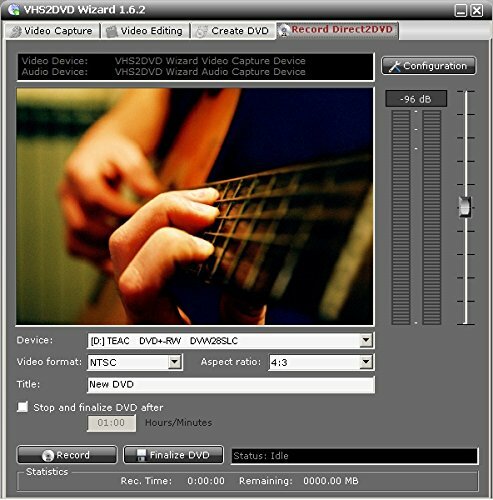 Step #5: Edit and Burn Your Video To DVD. 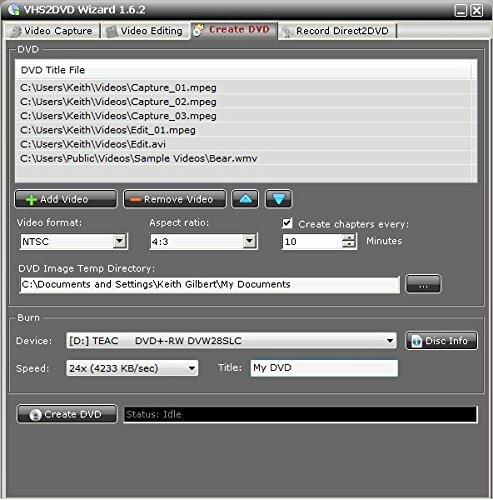 After optionally editing your video with the software to remove unwanted portions, simply burn it to DVD with the "Create DVD" section. You're done! Finally, as a ClearClick customer, you get access to our top-quality, USA-based technical support. Unlike other companies with "outsourced" tech support or support you have to pay for, our top-notch tech support is free and USA-based. Convert Any Video Tape (VHS) To DVD or Digital Video File - USB Video Grabber Included! 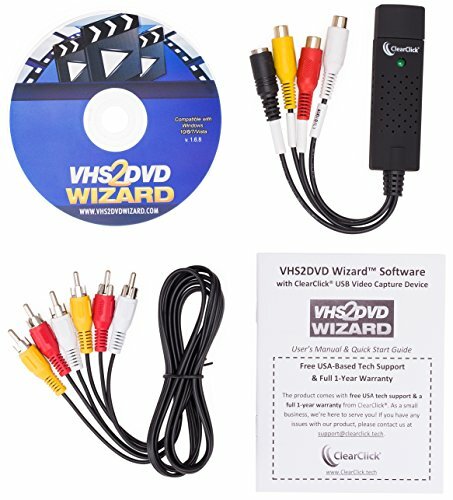 Included: VHS2DVD Wizard Software, USB Video Capture Device, RCA Video Cable, & User's Manual Edit Your Transferred Video To Remove Commercials & Unwanted Sections Direct2DVD(TM) Feature - Transfer Your Video Tapes Directly To DVD Works with Windows 10/8/7/Vista. Free USA-Based Tech Support from ClearClick!